In the United States, restaurant owners who are caught selling insect-contaminated food to customers are often reluctant to close their business despite these gross findings. However, this is not always the case in Japan, as a restaurant manager did not hesitate to close his restaurant after a customer found several cockroaches within his bowl of chicken. Last October, a customer found cockroaches within a meal that had been served to him at the popular fast food chain called Yoshinoya Co. Once the cockroach presence was brought to the attention of the restaurant’s manager, the manager promptly closed the location in order to dispose of all his compromised ingredients before sanitizing the entire kitchen. Meanwhile in Jacksonville, Florida four restaurants were closed after customers spotted cockroaches, beetles and several other insects within food items. Last summer, inspectors forced Selvino’s Pizza to close after finding three live beetles, 25 dead beetles, 104 live cockroaches and 52 dead cockroaches as well as numerous dropping from both insect groups. The bugs were found on a prep table, within a garlic and oil container, a tomato container and all over the walls. While it is not surprising to learn that restaurants are forced to close in response to inspectors finding insects in the kitchen, most people would not hesitate to eat a meal that a fly landed on. However, this does not make much sense considering that the chances of falling ill from ingesting insect pathogens is much greater when consuming food exposed to flies than when consuming food exposed to cockroaches. Two thirds of people would continue to eat a meal despite seeing a fly on it, but only 3 percent of people would eat a meal after finding a roach crawling over their food. 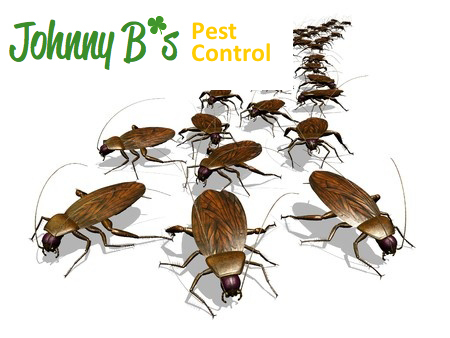 While cockroaches may be more alarming to find on food, they do not transmit disease nearly as often as typical house flies do. Would you eat a meal that had been physically exposed to a fly?